Keeping Rufus and I well fed is one of the main challenges facing our human parents on a daily basis, especially when we are out for a long walk and miles away from our normal food supplies and veg. So you can just imagine our joy when mum spotted in a local store, some food we can take on our expeditions full of goodness and energy. 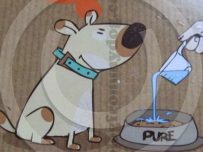 Pure Naturally Dehydrated dog food is something new to us, so we were keen to take a look at it and share our experiences here on our blog. 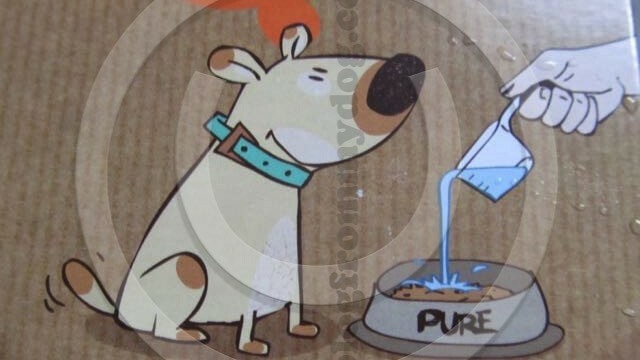 According to the products website Pure pet food is made with nothing but fresh and raw, human grade ingredients. The fresh fruit and vegetables are just washed, chopped and prepared, before then being slowly dehydrated. That’s dried to you and me. The process of removing the moisture means the food is around four times as dense in nutrients, vitamins and minerals as you would find in fresh fruit and veg. 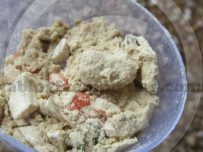 Being a dried powder, a bit like human packet soup mixture, allows our own food to be carried easily as it is not very heavy. 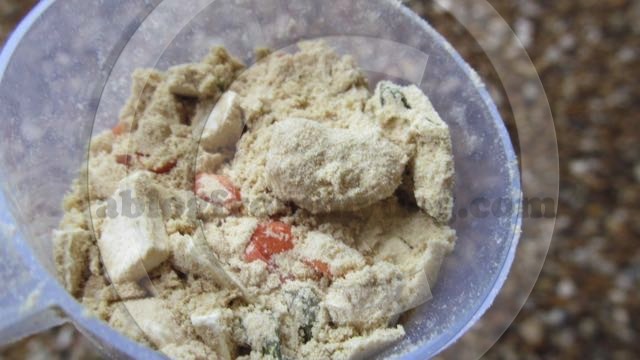 For those dogs who like wet food, your humans are not left with an empty smelly can or pouch to discard, so it’s better for the environment too. Preparation is easy and involves adding warm water to the powder and waiting around 15 minutes for the magic to work. I have to say that this waiting was frustrating and resulted in a few woofs and a little bit of harrumphing from both Rufus and myself. Despite what it looks like when it goes into our bowl, a thin cold, watery soup, it tasted fantastic and was soon filling our tummies. Adding water allows the food to expand in the bowl rather than in our stomachs, making it easier to chew and help prevent bloating. 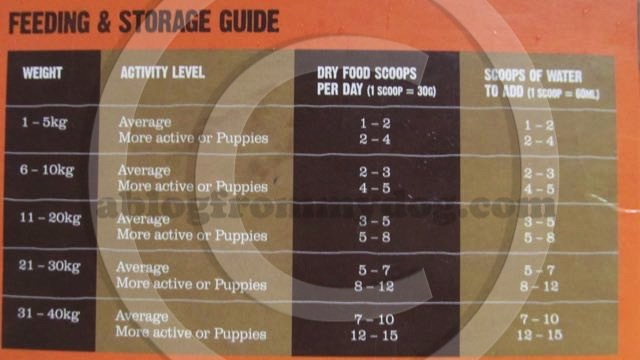 It also reduces the risk of dehydration often found with kibble based products. 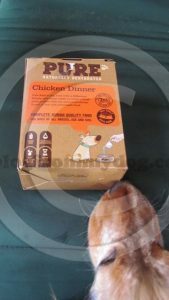 As a water based food we could easily see this product being ideal for colleagues with teeth or jaw problems who are unable to chew regular meat based products or dry crunchy kibble. Once Pure is rehydrated the manufacturers recommend it is refrigerated and used within 48 hours, so it is perfect to mix in bulk the night before. Just add a little warm water and stir before serving. Unsure if we would like the Pure Chicken Dinner flavour, mum purchased a 500g starter pack rather than the larger 4kg bag from the website. Made up, this would give us the equivalent of 2kg of fresh food. All are grain, yeast, wheat, gluten and cereal free recipes. 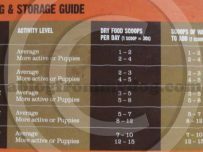 They also make a range of grain and wheat free mixer recipes to add to your normal foods. Treats are also available featuring duck & apple and chicken & coconut. After our trial product we would be keen to try more flavours from the range. However, using this food as a general day to day staple may prove a little costly and outside the range of many human purses. Having said this, we will be purchasing some additional boxes to put in the car for our walks and as a reserve food at home for those odd occasions when we need something that little bit special. Have we mentioned Christmas is not far off Mum and as you have Turkey for lunch can we try the Terrific Turkey flavour, please. 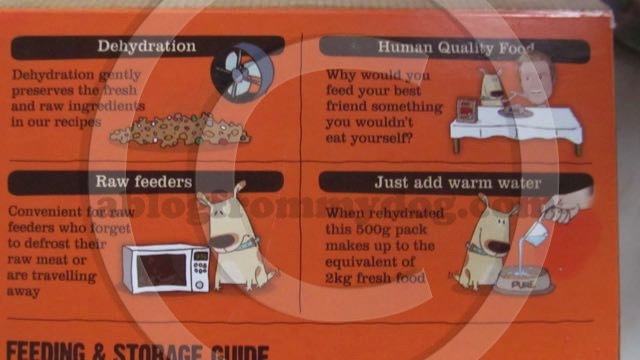 Pure dehydrated dog food gets 4.5 out of 5 wags from both of us. It misses out on full marks due to the time needed to rehydrate it and our inability to wait. Vitamin A 4,50mg, Vitamin D3 0,04mg, Vitamin E 60,00mg, Vitamin B2 80,00mg, Vitamin B12 0,08mg, Vitamin B1 5,00mg, Vitamin B6 9,00mg, Vitamin C 650,00mg, Selenium 0,10mg, Manganese 50,00mg, Copper 5,00mg, Zinc 80,00mg, Iron 60,00mg, Calcium 180,00mg, Phosphorous 120,00mg. 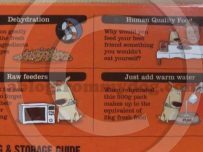 If you have a product, food, toy or gadget you would like Rufus or I to review, please get in touch via the contact us form.